UD Trucks has launched Quester heavy duty truck developed for growth markets in Pakistan. While increased demand for transport is expected, the company also foresees greater sales as Quester brings the high quality and performance which Pakistan’s modernizing market is calling for. With a population of over 200 million and a vibrant young segment, Pakistan has great economic potential. Demand is expected to grow further as China’s ‘belt and road’ initiative progresses and large infrastructure projects take hold under the China Pakistan Economic Corridor (CPEC). Infrastructure projects and foreign investment are also causing logistics to shift from the conventional practice of transporting large quantities of cargo at low speed to a modernized, high-speed yet highly efficient and safe model. 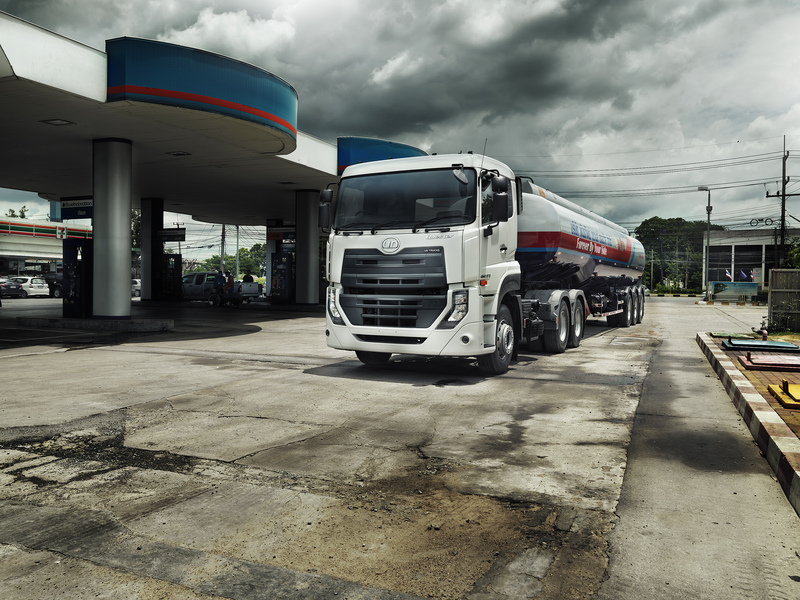 The needs of the truck market are changing as a result, towards demand for trucks that offer durability and higher payload, as well as fuel efficiency, engine performance and safety. Japanese brands hold the largest share of Pakistan’s market for commercial vehicles, and UD Trucks has been providing trucks to meet customer needs in the country for over 50 years. Together with superior quality and durability, UD trucks are highly evaluated particularly by customers in the construction and distribution sector as it can be highly customized. The Quester launch in Pakistan is targeted at customers in the petroleum products transportation sector, where demand for high-output engines is foreseen. Quester is offered in three models: 6 x 4 tractor (rear-wheel two-axle drive); 6 x 2 tractor (rear wheel, single-axle drive), and 6 x 4 rigid (single vehicle). Its 370 hp engine delivers high power as well as excellent safety performance. By meeting the needs of its customers, Quester aims to capture the demand for energy transportation in Pakistan. .
Quester is built at UD Trucks’ plant in Bangkok. Under a new contract, VPL Limited will be responsible for import, sales and service of Quester through three sales and service locations in Karachi, Islamabad and Lahore. Plans are in place to expand the sales and service network. VPL will hold a Quester launch event on June 29 in Karachi for about 300 guests including local business partners and media representatives. UD Trucks offers a full range of heavy duty trucks - Quon and Quester, medium duty trucks - Condor and Croner, and light duty trucks - Kazet and Kuzer, as well as associated operational and financial services.